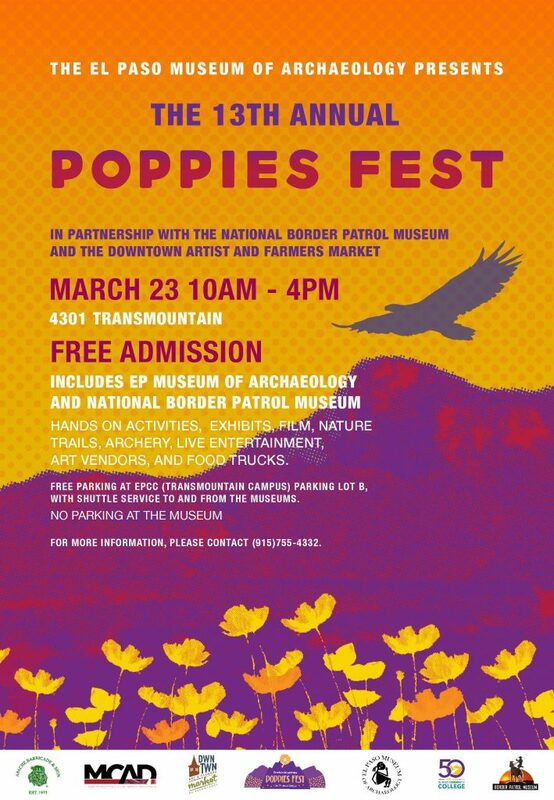 The Poppies Festival, which lasts from 10 a.m. to 4 p.m., includes free shuttles for parking off-site, admission to both the Archeology Museum and the and National Border Patrol Museum, live performances, exhibits, films, nature trails, archery, food trucks, and about 50 art vendor booths. The museum offers one of the best views of the poppies. El Paso’s poppy variety, the Mexican Gold Poppy (Eschscholzia californica ssp. Mexicana), can be found throughout the Southwest from West Texas to California. It is of special value to bees, emitting a spicy fragrance and enhancing a powerful visual impact with a sensory delicacy. 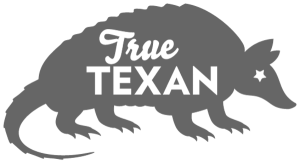 Like many plant species, the poppies also contain toxins of varying degrees, dependent on plant parts and growth stage, and shouldn’t be ingested. Nor should they be picked. “Each flower is needed for the plant to produce more seed for next year’s bloom,” Romney says. Although the poppies are native to the region, a number of myths circulate about their local origins, including unlikely scenarios featuring plane drops, National Guard troops, newlyweds, and Japanese gardeners. The rumors trace back to a 1931 city-wide campaign, sponsored by the now-defunct El Paso Herald Post, which encouraged readers to fund seeding “…the mountain sides and mesas near El Paso with poppies, bringing nearer to the city the beauties of the poppy fields which annually attracts thousands of El Pasoans to the slopes of the Franklin range 10 miles north of town.” The plan, called the El Paso Poppy Club, included a $5 membership fee which financed the distribution of 200 pounds of poppy seeds across the foothills above the city.